Mixer Folks | Twitch Folks | Ask us a question on Discord! We’ve tried to make Next Up Hero one of the hardest games ever. Streamers tend to be really good at beating games, so we’ve added MixPlay to thwart their progress. With the MixPlay Dashboards, the community has the power to assault or assist streamers as they crawl through endless dungeons, searching for the next tier of loot. How does the MixPlay Dashboard work? Summon Shadow: This will spawn the viewer into the game as an enemy. The Shadow will immediately assault the Streamer. One viewer per floor will be the Commander. When a floor is completed, the Commander will reset, allowing a new viewer to join in. Act fast; it’s first come first served. 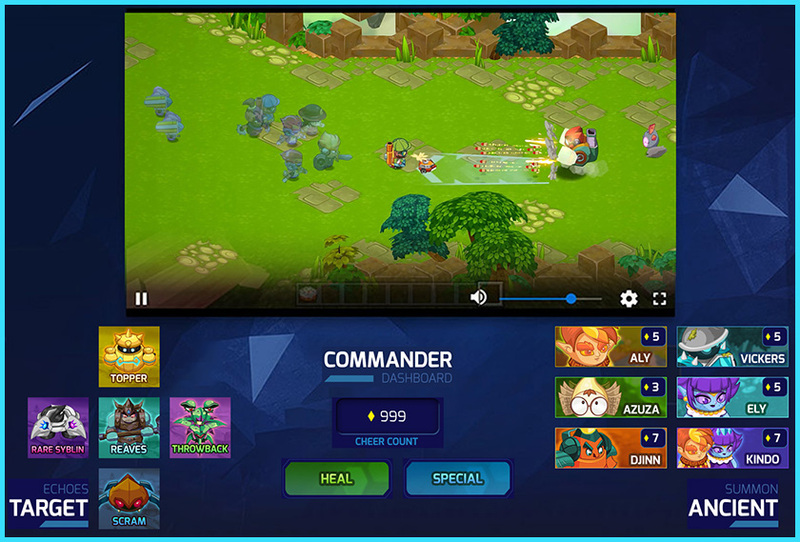 As the Streamer runs through the floor, the panel on the left side will update with all of the surrounding enemies on screen. The Commander controls the Echo army, and chooses which enemies they should prioritize. It’s the Commander’s job to control the mobs or focus on high-value targets for the Streamer! Heal: Used to heal the Streamer. Duh! Special: Refill the Streamer’s Special Bar. This is used for special attacks and Echo stamina. One viewer per floor will be the Dirge. When a floor is completed, the Dirge will reset, allowing a new viewer to join in. Act fast; it’s first come first served. Heal: Used to heal the enemies. Slow: Slow the Streamer down. Stun: Stop the Streamer in their tracks. Freeze: Completely immobilize the Streamer. Once your account is linked, all chat commands will be available. Be warned your audience takes the reins from here.